When your dog reaches full maturity, their body undergoes progressive age related changes. So why not help keep him enjoying life for longer. Developed by our vets and nutritionists, PURINA® PRO PLAN® with OPTIAGE keeps your dog's mind active and alert for longer. Through our exclusive, patented* blend of nutrients, OPTIAGE is proven to enhance brain function and helps increase activity levels, liveliness and interest in playtime so you can keep living an amazing life together. A combination of key nutrients that helps to support healthy joints for your senior dog's active lifestyle. Dehydrated Poultry Protein, Wheat, Maize, Chicken (14%), Gluten, Soya Meal, Vegetable Oil Fractions, Rice (4%), Dried Beet Pulp, Minerals, Maize Grits, Animal Fat, Digest, Fish Oil. 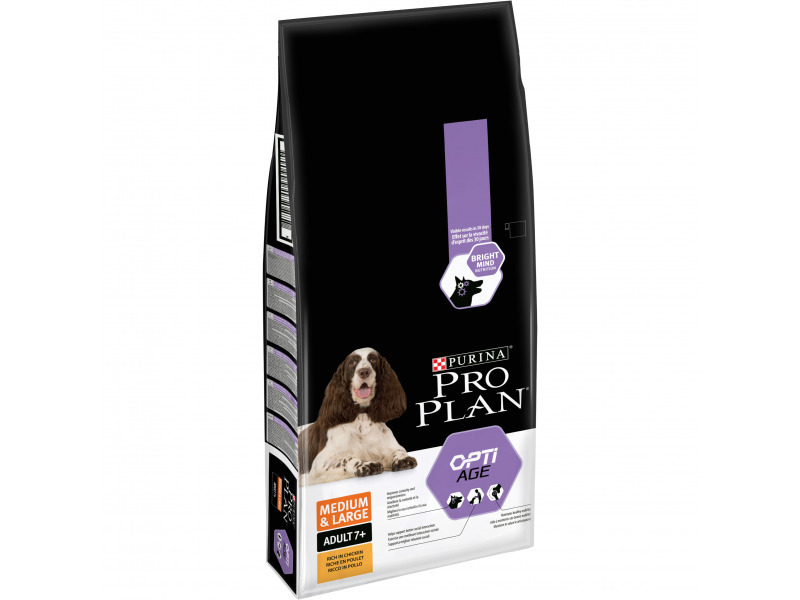 Below are some recent questions we've received regarding Purina Pro Plan Medium & Large Adult 7+ with OPTIAGE Chicken Dog Food, including answers from our team. 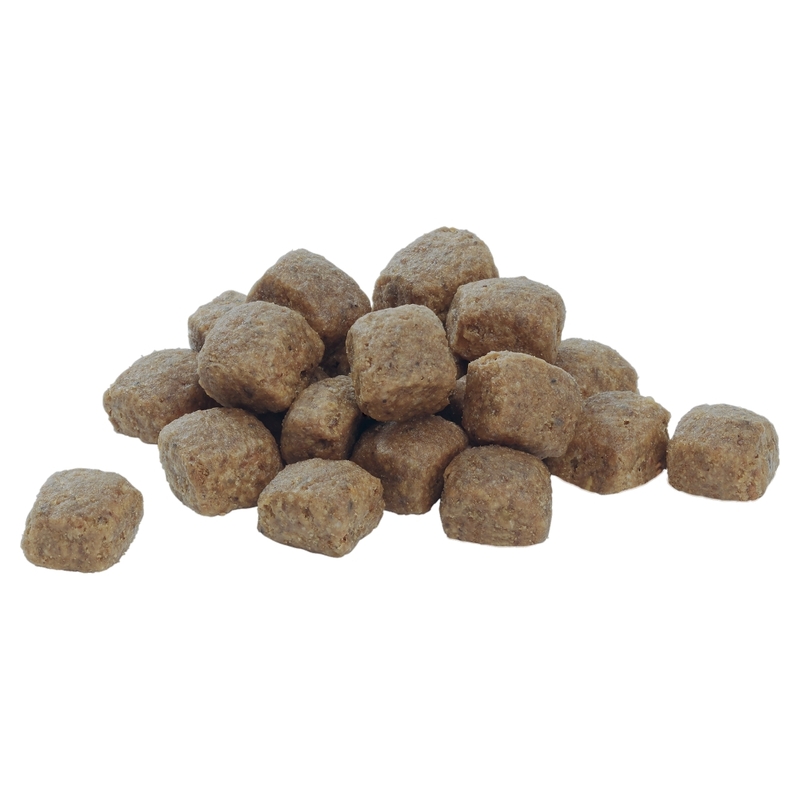 How much purina proplan 7yr+ food should a 23 kg dog eat in a day.